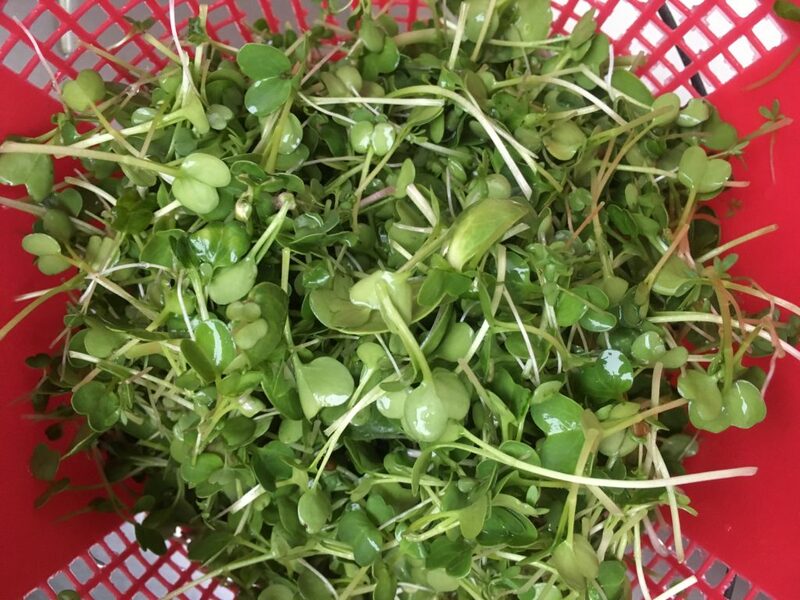 Microgreens are the young seedlings of edible plants. They are tiny and yet packed with nutrients. Here at the Well Fed Community Garden, we are usually growing 20 or more trays of microgreens in our small greenhouse. They are easy and quick to grow. We plant microgreens twice a week, after each harvest. 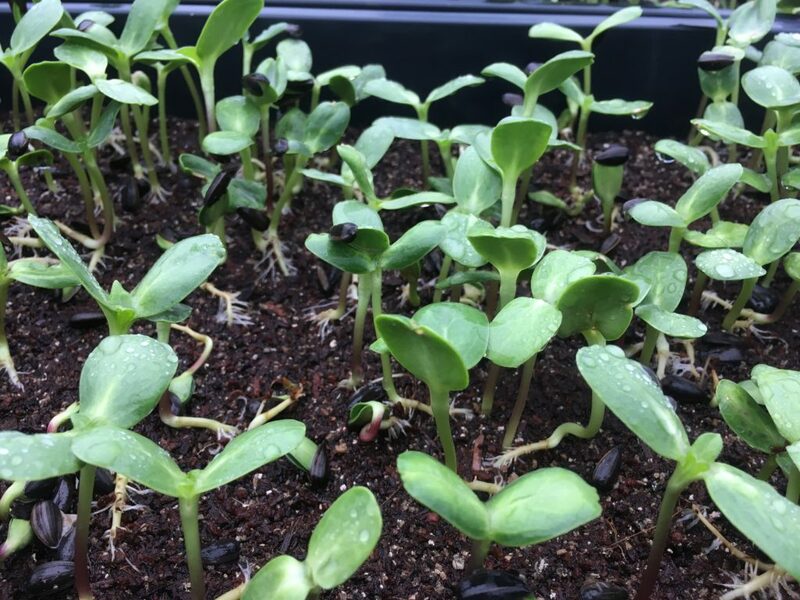 They take about two weeks in the winter to grow from seed to harvest. 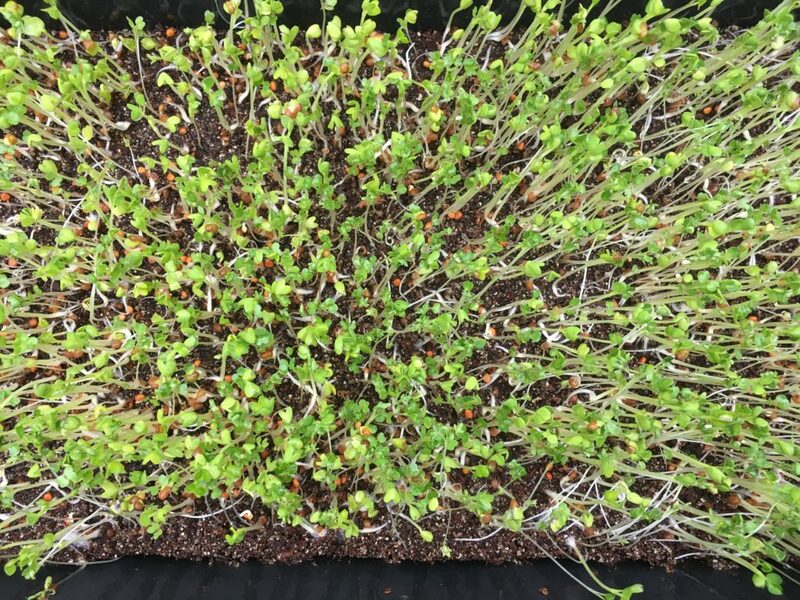 Here are some pictures of microgreens ready for harvest. 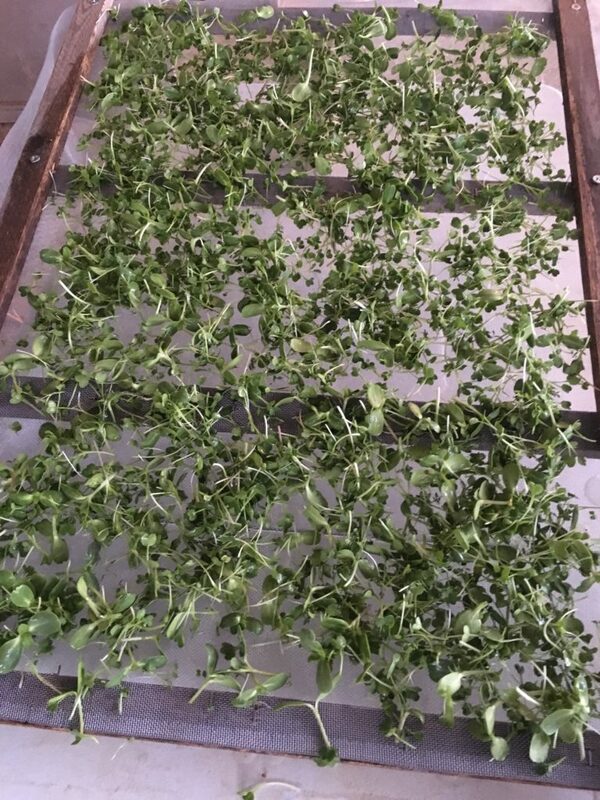 After harvesting the microgreens, we combine them in a sink to rinse them. 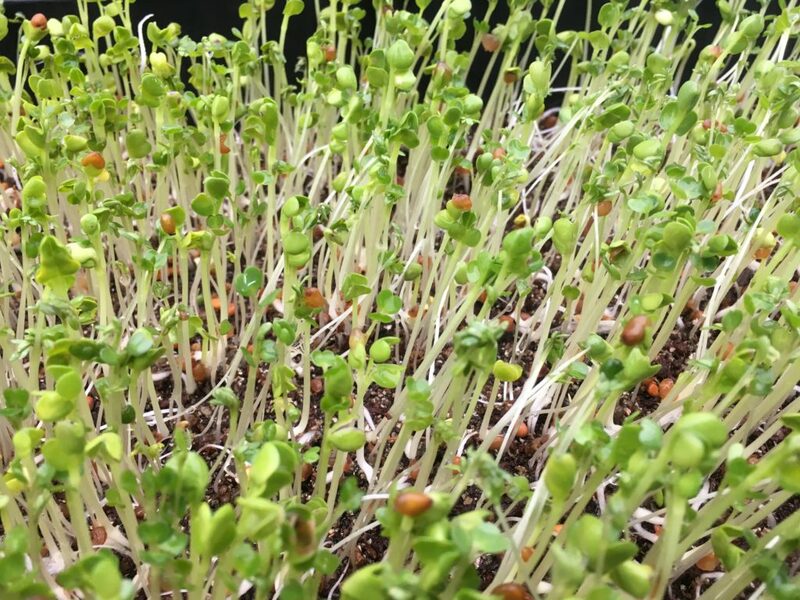 Our microgreen blend is a mix of many plants: radish, flax, sunflower, and spicy salad mix. Our microgreen blend after being rinsed. 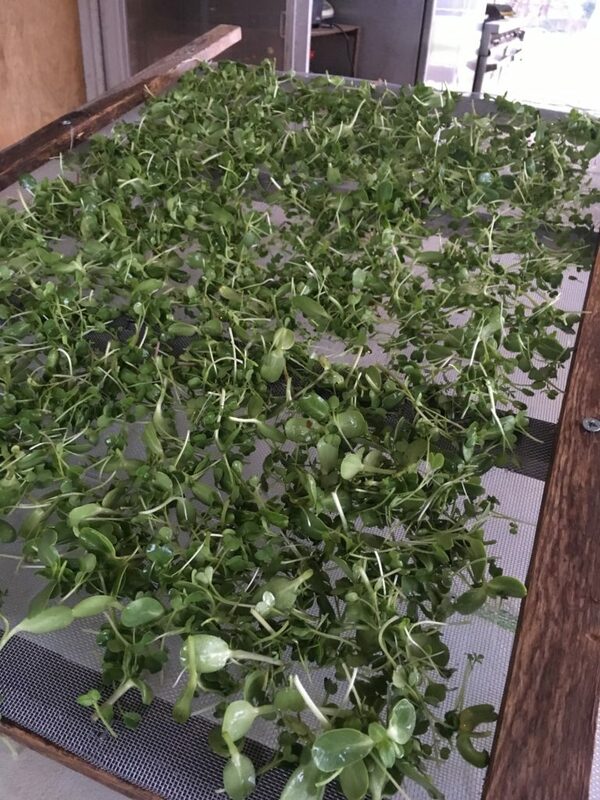 Next we spread the microgreen blend across the drying rack screen (made by our farm manager Morgan!) and turn on a high powered fan to dry the microgreens before packaging them. This helps them to last longer in storage. 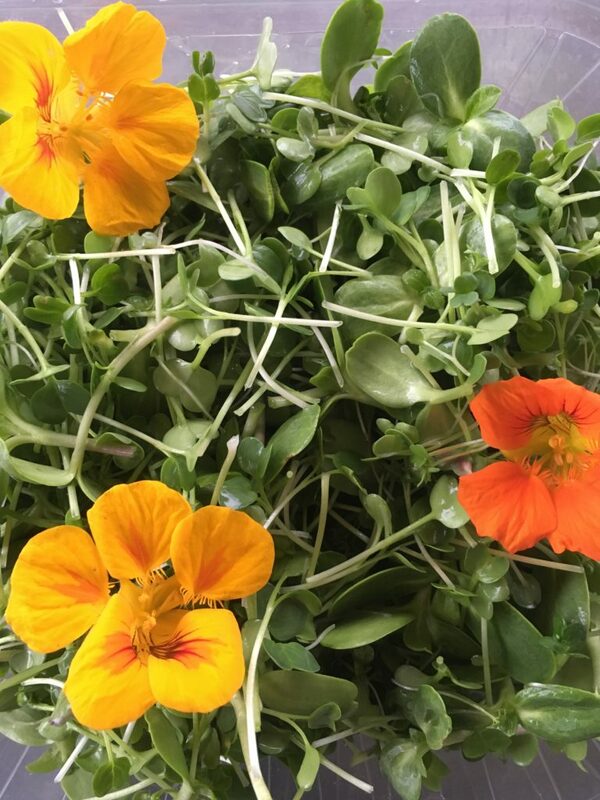 Finally we package up our microgreen blend to bring to the Irregardless Cafe, occasionally tossing in some nasturtium flowers to add color and spice. We try to grow microgreens year round and the blends can change with the season. 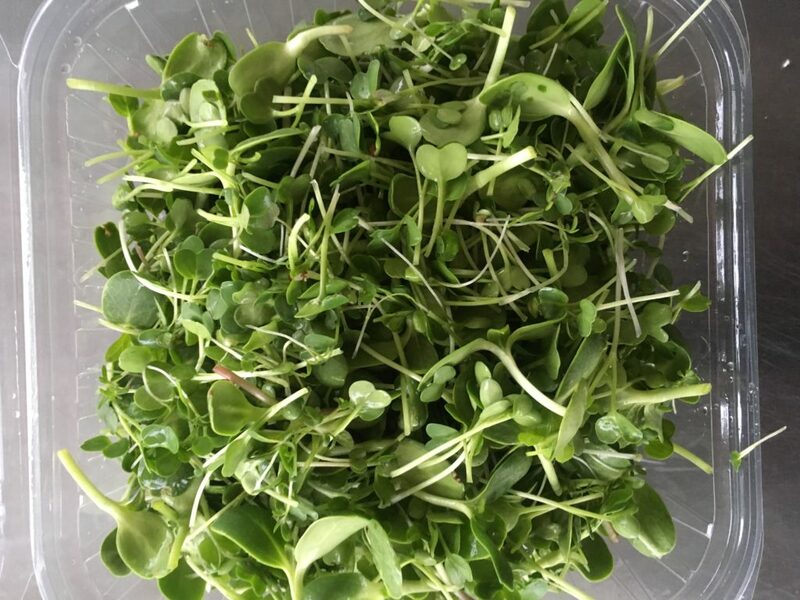 Look out for our microgreens in dishes at the Irregardless Cafe!